You don't have to give up quiche if you have a dairy or lactose allergy. 4 Can You "Sour" Almond Milk With Vinegar? 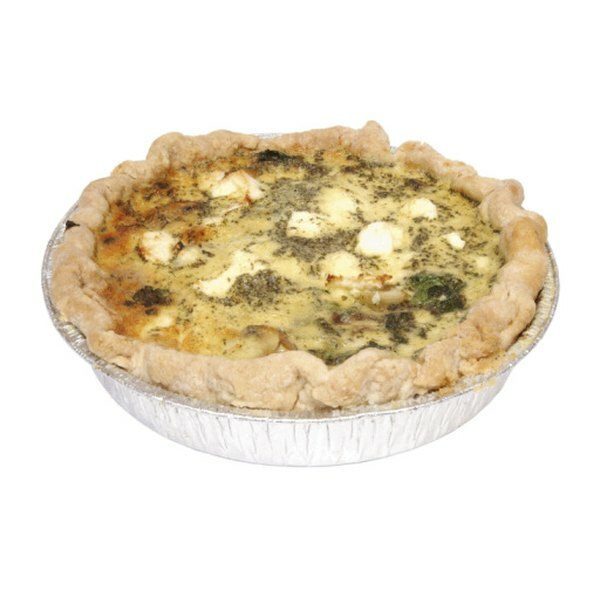 One of the main ingredients in quiche is milk. For those that love quiche but have a dairy allergy or are lactose intolerant (those unable to properly digest lactose, a sugar found in milk) of which there are approximately 30 million American adults, according to the United States National Library of Medicine, there are several dairy-free alternatives. These substitutes are made from plants, most of which have as much calcium as milk. Using these alternatives is easy and most alter the taste of quiche on an indistinguishable level, if at all. Soy milk is chockfull of protein, magnesium and vitamin D. Plain soy milk has a smooth, slightly creamy texture and slightly sweet taste. It has about 60 calories per 8 oz. serving, only 2 g of fat (.5 g of which are saturated), and 5 g of sugar. Soy milk is, for many, a first choice milk substitute as it is it has a similar consistency to milk and is slightly thicker than many of the other alternatives. It can also be used on cereal, in sauces, casseroles, soups, pancakes and omelets. Those marked “lite” such as WestSoy Lite Plain, will be thinner than regular plain soymilks. Almond milk is known for its cholesterol-lowering flavonoids and vitamin E, according to Beth Greenfield in her article “Mooove Over, Milk”(Wholeliving April 2011). It has a slightly nutty taste and is good for use in baking and as a creamer in coffee or tea. 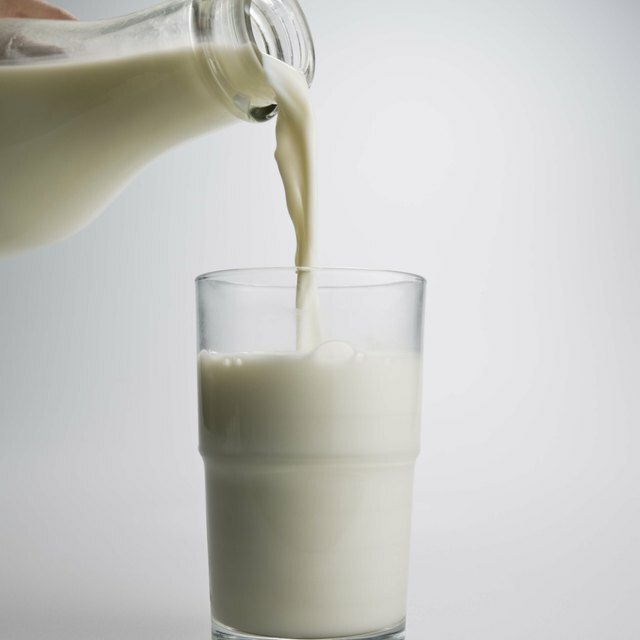 Plain unflavored almond milk is nearly identical in its nutrition to soy milk, as it also has only 60 calories per 8 oz. serving, 2.5 g of fat (zero of which are saturated), and seven grams of sugar. Rice milk is thinner than other dairy alternatives and is usually enriched with calcium and vitamins such as A, B12, and D as it does not naturally provide enough of these. It is slightly sweet and goes well in desserts, on cereal, in smoothies, and in baked goods including quiche. Make sure to use the carton labeled “unsweetened” in dinner recipes such as quiche. Unsweetened rice milk will not alter the taste of your quiche, has a mere 45 calories per 8oz serving, 2 grams of fat (zero saturated) and zero grams of sugar. Though soy, almond, and rice milk are preferable for making quiche, if you have hazelnut or hemp milk on hand these too will work. Both are rich in protein, and hemp milk is known for having all ten essential amino acids. Hazelnut milk is velvety in texture with a roasted scent, while hemp is grassy and nutty. Hemp may be better for baking, whereas hazelnut, due to its extra creamy texture is better for coffee and desserts. Hemp has 60 calories per 8 oz. serving, 5 g of fat (.5 of which are saturated), and zero sugars. Hazelnut has 110 calories per 8 oz. serving, 3.5 g of fat (zero saturated), and 14 g. of sugar.